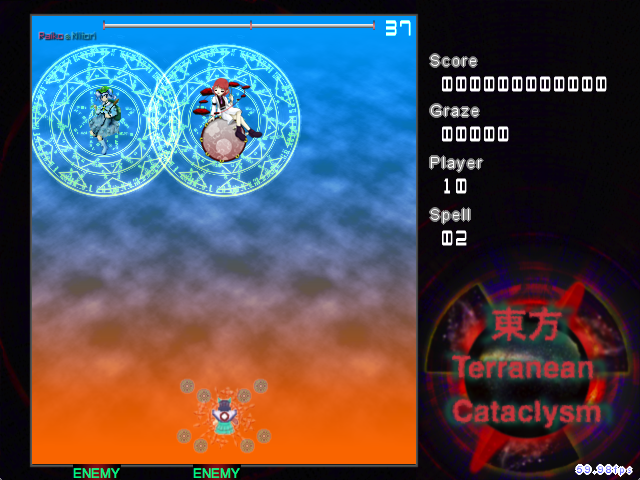 My LOCAA 4 Contest Entry is a standard Touhou-esque vertical scrolling shooter with two difficulty options. The main feature of this script is the fact that it is a dual boss battle. Raiko and Nitori do in fact share the same lifebar. The recommended player is my ph3 Kogasa-Utsuho duo.